SPIRITUAL REMEMBRANCE CEREMONY MARKS 180TH ANNIVERSARY OF PIVOTAL LOXAHATCHEE SEMINOLE WAR BATTLES – FLORIDA BLACK HISTORICAL RESEARCH PROJECT, INC.
FLORIDA BLACK HISTORICAL RESEARCH PROJECT, INC. The 180th anniversary of two 1838 battles which changed the history of Palm Beach County, Florida, and the Nation, will be commemorated with the Annual Seminole Maroon Spiritual Remembrance ceremony at historic Loxahatchee Battlefield Park, in Jupiter, Florida, on Monday, January 15 (the Dr. Martin Luther King Jr. holiday), from 10:00 a.m. to 3:00 p.m. The Battlefield is adjacent to Riverbend Park, 9060 West Indiantown Road (one mile west of Florida’s Turnpike and I-95). The popular Annual Remembrance honors the memory of the fallen on both sides, with multicultural prayers and interactive rituals, historical presentations and displays, “Village Talk” for open community participation, and concludes with Battlefield tours conducted by Loxahatchee Battlefield Preservationists. Months later, remaining survivors in Florida would be further dispersed, and impoverished, following the final significant battle of the Second Seminole War, near present-day Fort Lauderdale, but it was the Battles of the Loxahatchee that finally broke effective Seminole defense in Florida against settler encroachment in what had been “Freedom Land” for self-liberating Native and African Americans. In a break with past years’ observances, the 2018 Remembrance is being held on the Dr. Martin Luther King Jr. holiday itself, which marks a landmark in time in its own right, not only as the actual date of Powell’s Battle, but also as Dr. King’s actual birth date, being observed in the 50th anniversary year of his assassination — and of the launch of the Poor People’s Campaign, to which he dedicated his final years (but did not live to see) — in 1968. In the established spirit of this occasion of bringing much of forgotten American history and traditional wisdom to light, it will also serve as a start of a year-long series of special programs, activities, and commemorations, including the Bicentennial of legendary Abolitionist, orator, presidential advisor, and human-rights activist Frederick Douglass, and observances of International Days of Remembrance. In addition to this national and global significance, 2018 is an important local landmark in modern Palm Beach County history as the 20th anniversary of the “160-Year Family Reunion” homecoming, organized by the late Isa Hamm Bryant in 1998, of an impressive delegation of Seminole Maroon descendants from Oklahoma, including the elected Chairwomen of the two historic “Freedmen’s Bands” of the Great Seminole Nation in that state, to their Ancestral Homeland of Florida, coinciding with the unfolding discovery of the true location of the Loxahatchee Battlefield, all of which brought about a groundbreaking upsurge of awareness of, and support for, this history in the County. As throughout the more than two decades since the first annual Remembrance, this occasion welcomes all to a spiritual experience which combines historical information and education with prayerful meditations, particularly on Dr. King’s profound teachings on nonviolence as we honor the victims of warfare at a sacred site, consecrated by every life that was touched by the two battles fought there. Admission is open and free to the public. For further information, visit the web site at www,fbhrpinc.org, or call 305-772-7714– or 305-904-7620. 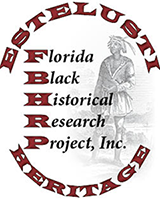 The Mission of the Florida Black Historical Research Project, Inc., is to research, collect, and disseminate knowledge of significant contributions Blacks have made in the State of Florida. FBHRP was founded in 1996 as a not-for-profit, 501(c)(3) tax-exempt community organization. Photo montage of Annual Seminole Maroon Spiritual Remembrance of Loxahatchee Battlefield by Stephen Marc.